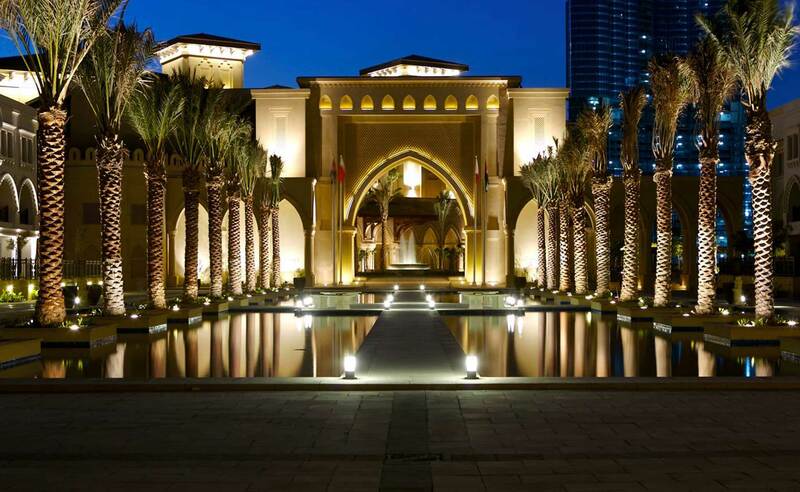 The Palace Downtown Dubai shares a grand-scale arrival courtyard and palm-lined reflection pond with Old Town Island. 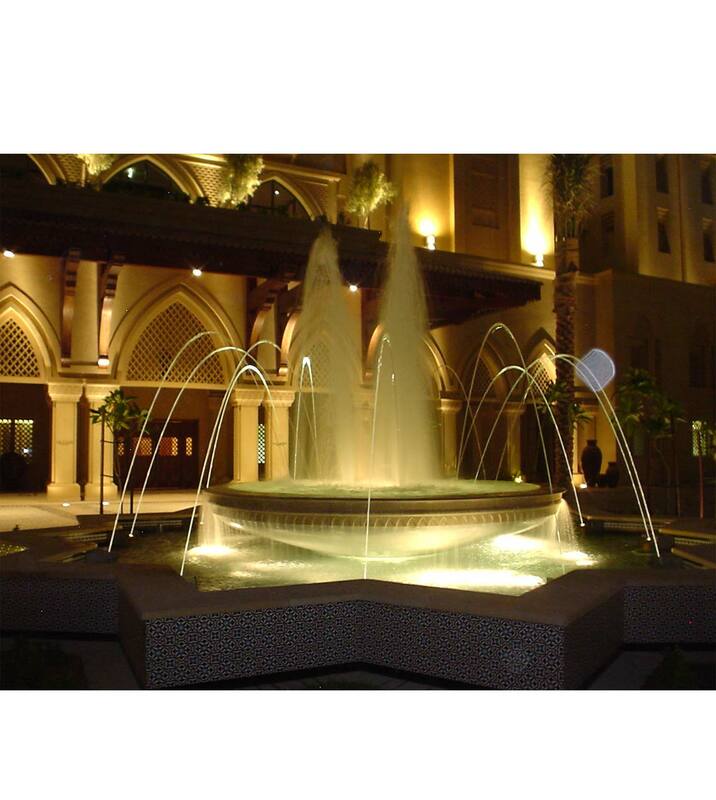 Like the latter, the architecture of the hotel is Arabic in style, materials and colour. 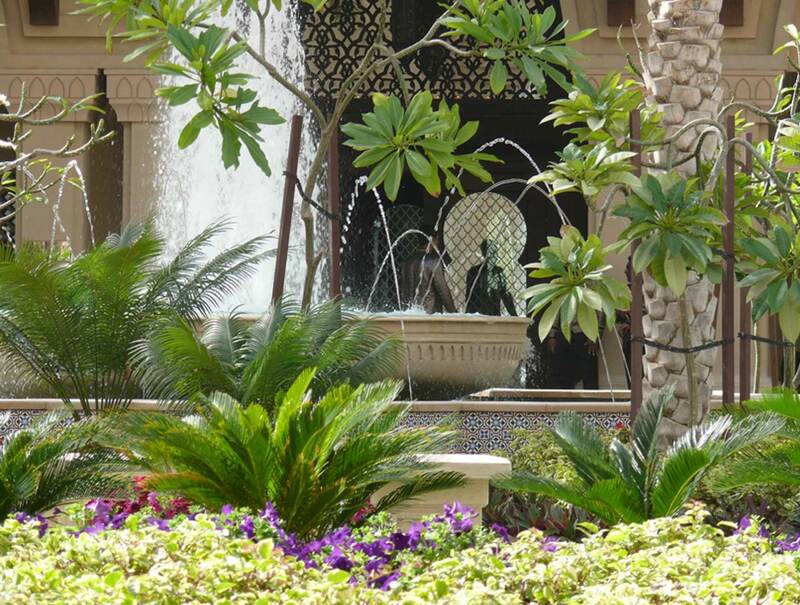 The focus of the hotel’s gardens is a private swimming pool that fronts onto Burj Dubai Lake. 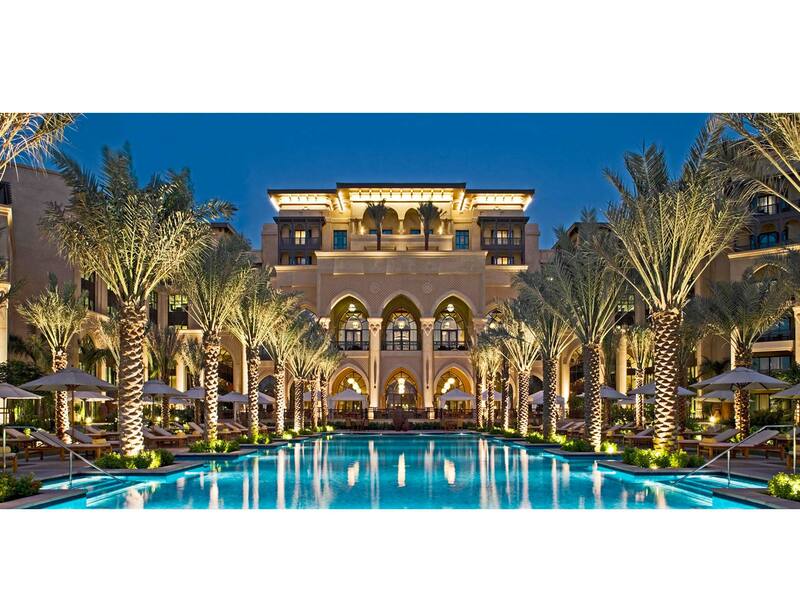 The expansive pool is flanked by Date palms, which shadow loungers and gazebos. 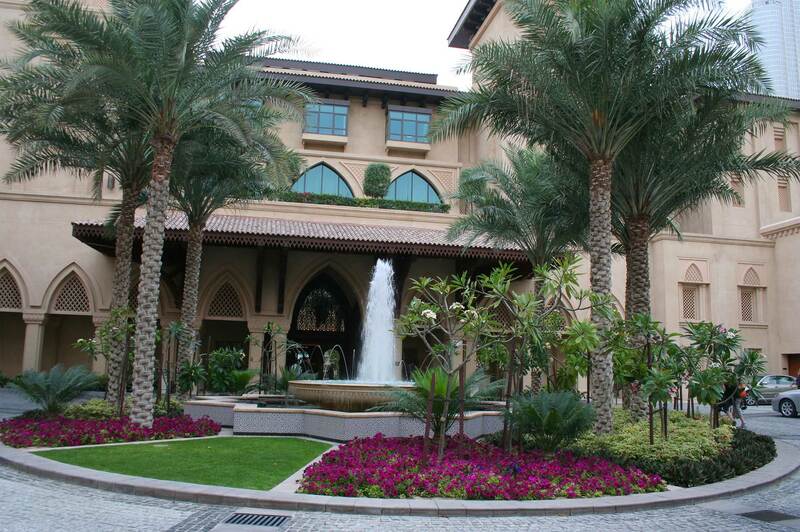 The landscape outside of the swimming pool area is mostly informal and features groupings of Royal and Washingtonia palms, with bold colour weaved throughout by Bougainvilleas and Ixoras. Hard surfaces have been utilized to reflect the Arabic nature of the building style with colourful Arabic tiles being widely used to accent this theme.